Business Link North Carolina offers a central source for consultations, information and referrals. The Small Business Center at Wilson Community College is the perfect local resource for counseling, seminars and workshops. The North Carolina Rural Center delivers resources for rural people, businesses and communities. 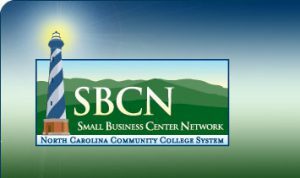 The Business Development Center is an entrepreneurial business incubator serving startup and existing small businesses in the Upper Coastal Plain Region of Eastern North Carolina. Their Council of Governments and Development Corporation are proud to be able to offer loan programs to businesses to benefit rural areas as an alternative lender. There are three satellite locations in Asheville, Charlotte, Raleigh and Wilmington offering business resources, loans, grants and much more. Our local premier business network. Membership based opportunities that connect Wilson’s business community with extensive marketing, networking, and advocacy benefits.